The sides and back of this short sassy 'do are tapered into the head while the top is longer and layered for a textured look and feel. The bangs are swept to the side to soften the face and completes the overall hairstyle brilliantly. Regular trims are needed every 4-6 weeks to maintain this shape. 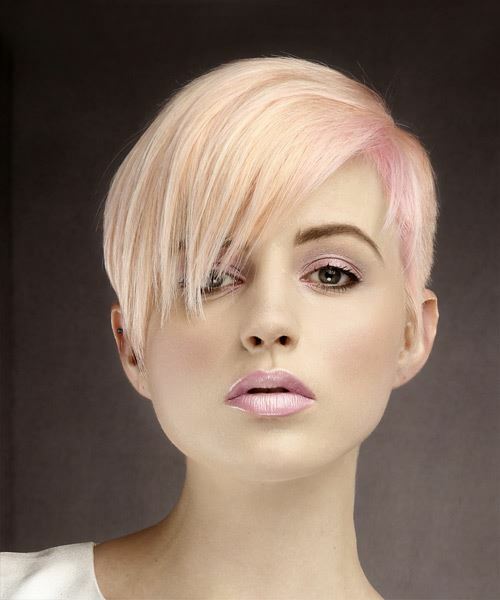 Our model is working a long version of the pixie cut here with fabulous results. This asymmetrical â€˜do is ideal for ladies like her who have petite facial features and a strong bone structure. She has a square jaw line which benefits from short styles like this one that bring the focus upwards. Her fine hair type works well with this â€˜do too as the layers add texture and body all over, and it gives her high forehead some coverage while framing her eyes. For ladies who like a stylish wash-and-go hairstyle, this longer version of a pixie cut is an excellent option. 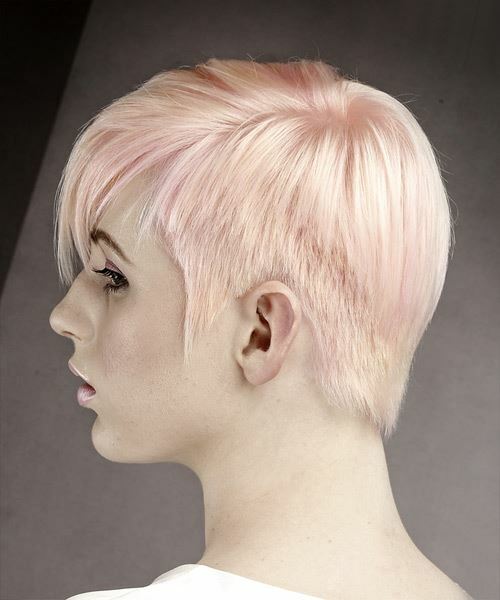 Our model has fair, cool skin that has some pink undertones to it, making this light baby pink hair color ideal for her. Her dark eyes and eyebrows stand out against this ultra light shade bringing the focus front and center. 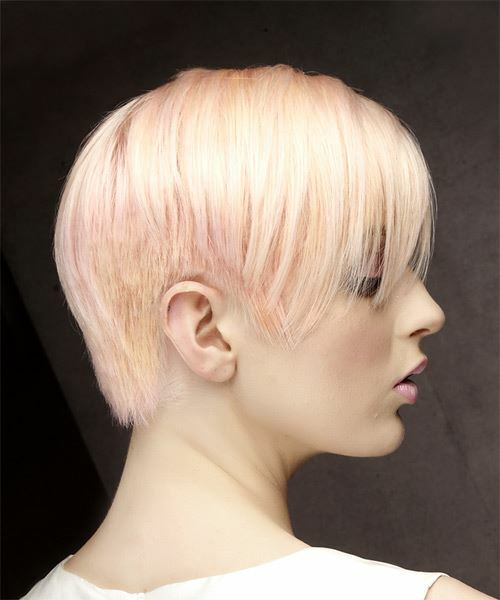 The ash platinum blonde base is ideal for adding pastel shades on top such as the cotton candy pink seen here, and results in a subtle yet beautiful light pink shade. Since the hair needs to be bleached first to achieve this color, pairing it with a short haircut ensures the hair looks healthy and shiny after the color processing has been completed. Apply spray gel to the roots before blow drying for extra lift.